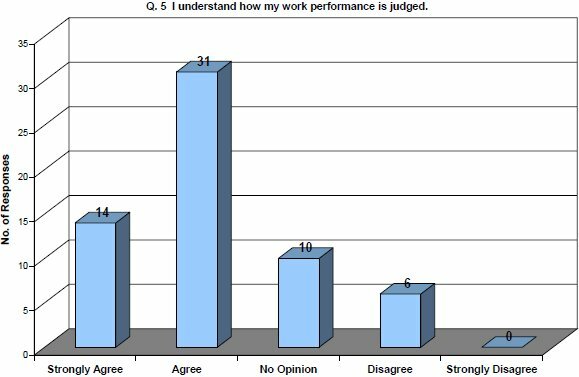 Creative Organizational Design’s survey reports are detailed and easy-to-understand. We’ll explain what we found, what it means, and what we think should happen as a result. Your final report will make it easy for you to review and know at-a-glance, exactly what your respondents were saying. Detailed, comprehensive information that clearly illustrates what your respondents are telling you. Specific recommendations to help you capitalize on the results, address the issues that were raised and focus on continuous improvement. The full report in both CD-ROM and hard copy. Your customized report can include any type of chart you wish, including line, bar (horizontal/vertical), pie, area, etc. provided to you printed in full colour and on CD (including raw data). Creative Organizational Design offers a number of additional options, which can be used to augment both the report we produce and our post-survey services.